Welcome to our updated web site, and newsletter! We’ve had a busy start to 2015, and given several new business wins, we’re anticipating an exciting second half as well. Next month also marks a significant date for Best Communications. On July 2nd, we’ll celebrate our 20th anniversary in the company of friends, family, and esteemed clients. The date is set to be an evening to remember, and a handful of bulldogs will even be in attendance! Stay tuned and check our Facebook page for photos of the Big Best Bash! At the end of May, MasterCard launched a new loyalty program for all Czech and Slovak MasterCard cardholders. Best Communications promoted the project via PR as well as managed press conferences in both capital cities. The main campaign objectives were to introduce the new program, attract people to join, and to unveil the brand ambassador for the Czech Republic and Slovakia. 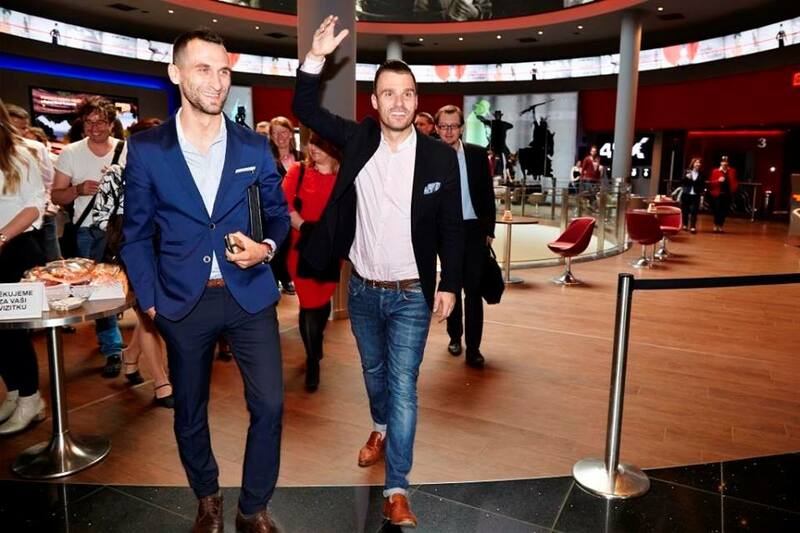 To create a priceless experience, the Best team organized the event in the cinemas of key shopping centres in Prague and Bratislava. After walking down the red carpet, journalists and business partners sat comfortably in the cinema seats to enjoy the presentation. During the conference, Leos Mares, the famous Czech celebrity and brand ambassador, shared his experience at the Cannes Festival, where he was invited by MasterCard in coordination with the campaign, and eventually invited all guests to join him while shopping at partner retailers located in the shopping center. Best also secured media communication and press kits. The press conferences were attended by over 20 journalists in Prague and 15 journalists in Bratislava, including key media such as the CIA press agency, Bankovnictvi, Marketing Sales Media, iDnes.cz, and investujeme.cz. During the first month after the launch of the program, 46 outputs appeared in the Czech media and 15 outputs in Slovakia. We achieved wide coverage both in print and online media. Articles appeared in marketing, financial, lifestyle media, online servers, and in radio and TV broadcasting including TV NOVA,and Evropa 2 radio. Cochlear, a global biotechnology leader that designs, manufactures, and supplies a range of implants for individuals with hearing loss, tasked the Best team with the promotion of their CSR project. 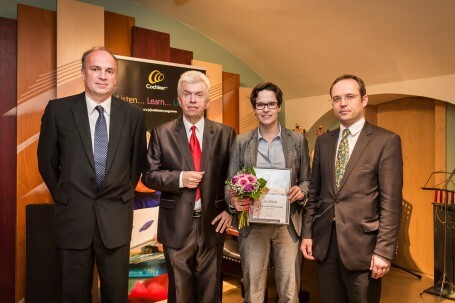 For the first time in the company’s history, a Czech student was awarded Cochlear’s Graeme Clark Scholarship; the winner, Jana Havlova, was selected from the entire CEE region. The scholarship was first awarded in 2002 to honour Professor Graeme Clark, a pioneer of cochlear implant technology, for his lifelong devotion to finding solutions for those with hearing loss. Professor Clark from the University of Melbourne invented the first multichannel cochlear implant 30 years ago. We were delighted to assist with this special task as Jana, a student in the Master’s programme of Law and Jurisprudence at Masaryk University, has accomplished a great amount in both her private and academic life. Jana received her cochlear implant at FN Motol at the age of four, and was the first child in the Czech Republic born to deaf parents to undergo such a procedure. In addition to the CSR programme, Cochlear has provided implants to more than 1,000 patients in the Czech Republic, 600 of whom were children—which is a great story in itself. The agency was in charge of media support for the celebratory event at which Jana was officially awarded the scholarship for her great results, receiving a financial contribution toward her studies amounting to 5,000 euros. The evening was attended by experts, including doctors and nurses from Czech hospitals, members of Prague’s deaf community, Jana’s parents and friends, Cochlear’s business partners, and media representatives. Appearances were also made by Czech violinist Jaroslav Svěcený, who entertained guests with an outstanding performance, as well as by Australian consulate representative Zdeňka Kotalová, and by Consultant Business Development Manager for the Czech Republic and Slovakia, Henryk Paciorek. Immediately following the event, the agency distributed an official press release and photos from the ceremony. Several outcomes were registered shortly thereafter, including a story on the leading business server, ihned.cz. In addition, coverage appeared throughout the entire media mix, including healthcare, student, business, and lifestyle servers and print publications. At the end of April we attended a four-hour endurance race with remote-control cars that the students themselves built using hybrid hydrogen power systems. The competition was organized by Horizon Educational, and the Prague iteration of the race kicked off the international competition series named the Hydrogen Horizon Automotive Challenge, which was designed to highlight clean energy as part of a comprehensive technical education. The Best team was in charge of the press conference that was organised on the occasion of the launching of the international competition series that afterwards moved to the French Saint Martin de Boulogne and also to Florida. The press conference was attended by news, technical, industry and student media including the editors from CTK, the Economia publishing house, the expert magazines TechMagazín, MM Průmysl and Svět průmyslu, the website for students Primat.cz and others. 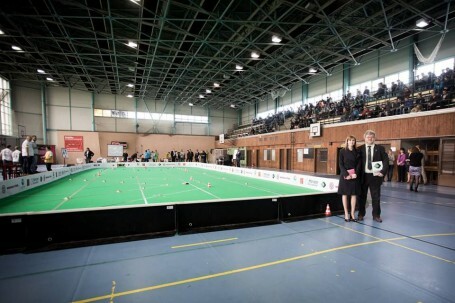 The journalists were invited to the Secondary Technical and Vocational School Zelený pruh, where the competition was held. 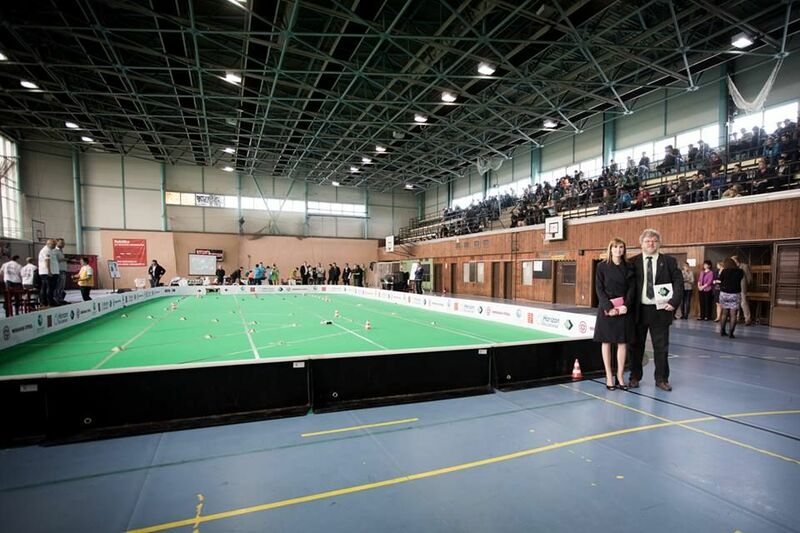 They had a chance to absorb the authentic atmosphere of the race and to familiarise themselves with the whole principle of the competition, the purpose of which was to design and build a 1:10 scale hydrogen powered remote-controlled car. The media also had the opportunity to personally meet the Horizon Europe representative, Mrs. Kateřina Horiszny Šarešová, who introduced the company and the whole project and answered their questions. Afterwards the journalists looked through the original and top quality materials for scientific, technological, and mathematical education that the company develops and produces. The goal of such tools is to broaden the scientific potential of secondary school students for their further studies and professional expertise. Finally the press conference attendees had a chance to meet the winner of the competition, the Bae Hawk team led by Jiří Šic, which will represent the Czech Republic in the European final. After the race the, Best team issued a press release to a wide range of media. The articles were published in both news and technical titles, but also on parental and environmental web sites. There was also a report about the competition broadcast on the child-focused TV channel of Česká televize, ČT:D. In addition to the Czech press release we also issued the press release in English, German, and French through the PR Newswire service. Both of the press releases resulted in international coverage of more than 110 articles. 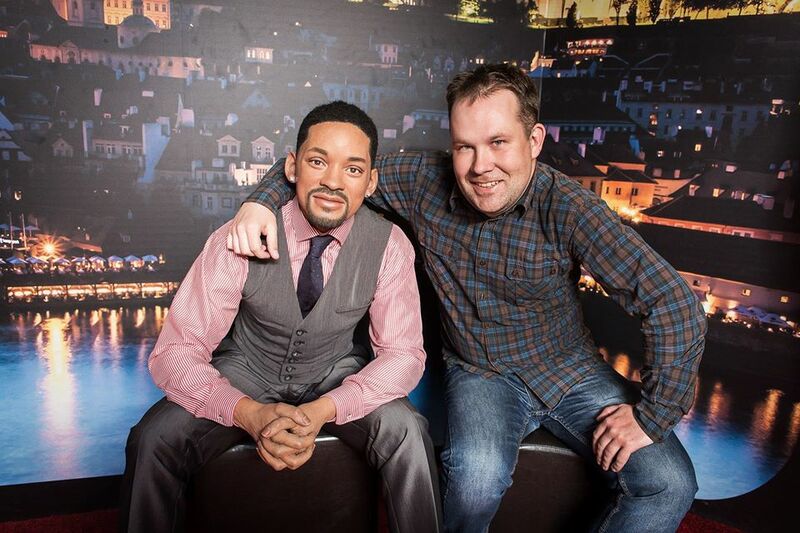 In the spring, the Best team created a campaign for their client, the world famous wax museum Madame Tussauds that introduced the new faces at its Special Exhibition in Prague. The exhibition was first opened (of course, with the participation of the Best team) in April 2014, and was a great success. PR activities related to the unveiling of the fresh set of faces were held in two phases. Best first managed a guerilla photo shoot with Jim Carrey that took place on one sunny morning in March outside the arrivals terminal of Vaclav Havel International Airport. Most passersby were initially shocked by the presence of the famous comedian in the Czech capital, but later some of them took the opportunity to take a selfie with Jim. The media response was fantastic – reporting on the event with the popular Hollywood A-lister were the national dailies Právo and Metro, and social weekly Týden as well as the popular magazine VIP news on TV Prima. The event with Jim Carrey was followed up with a press conference where the new famous additions were introduced to the media – action hero Will Smith, supermodel Heidi Klum international pop sensation Justin Bieber, and Twilight saga co-stars Taylor Lautner and Robert Pattionson. The event was attended by representatives from a variety of media, especially news and lifestyle. Following the completion of both events, the Best team distributed pre-prepared press materials, including photos, to a wide range of relevant media. For selected media, the agency also implemented a contest for tickets to the Special Exhibition. 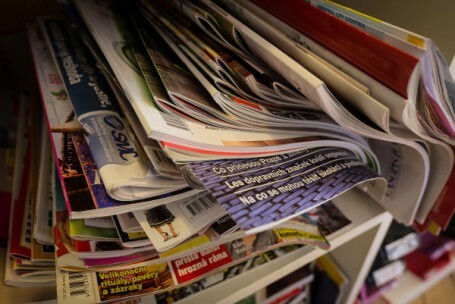 Overall, the theme enjoyed ample coverage – more than 50 articles were published, both in print and online across a wide media spectrum, including key titles such as Cosmopolitan, Harper’s Bazaar, Esquire, TOP DÍVKY, Bravo, Žena a život, Spy.cz, and Praguepost.com. A number of articles and comments about Madame Tussauds, including photos, also appeared on the Facebook profiles of individual media. 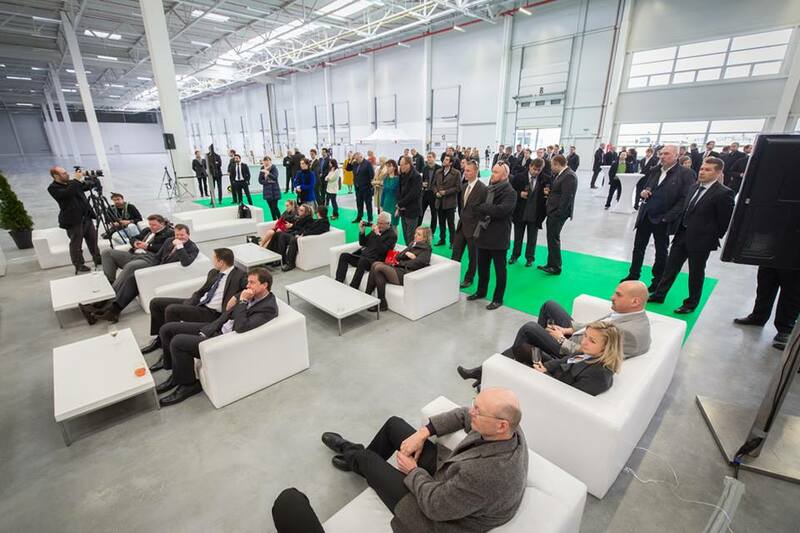 At the beginning of April, Prologis opened a 30,000-square metre speculative distribution facility at Prologis Park Prague-Airport—the first building to be completed in this park. Best Communications’ responsibilities were to promote the project via a tactical PR campaign as well as to manage the grand opening event and press conference. The overarching objectives were to introduce the new building to customers, raise awareness of Prologis’ successful development project, and to highlight the state-of-the-art technological solutions implemented during construction. Inspired by the location, Best prepared an aviation-themed grand opening and luncheon for guests and key media. Hostesses and waitresses, dressed as cabin crew members, welcomed attendees, including the Governor of the Central Bohemian Region and the Vice Mayor of Jeneč. The official ceremony underscored Prologis’ latest investment in the region as well as the outstanding technical features of the building and was marked by a ceremonial ribbon-cutting to the sound of a plane taking off. The Best Communications team also mediated interviews with Prologis representatives and issued a press release to maximize coverage. The grand opening was attended by 15 Czech journalists, including key publications such as the CTK press agency, Construction & Investment Journal, Prager Zeitung, Development News, Systemy logistiky, Transport a logistika, Lastauto Omnibus, Zboží & Prodej, and ihned.cz. During the first month after the event, 36 outputs appeared throughout Czech media. In addition to numerous online outlets, the event was covered by the Czech news agency CTK, the key national daily Hospodarske noviny and most key real estate and logistics publications, such as Technický týdeník, Logistic NEWS, Zboží & Prodej, Lastauto Omnibus, and Dopravní noviny. On the occasion of the launch of the PUMA ALIFE lifestyle collection, the Best team assisted with the organisation of a celebratory event held at the beginning of May. The collection is a result of PUMA’s cooperation with New York fashion concept, ALIFE. The event was hosted in Prague’s Footshop store and its atmosphere totally matched the name of the collection. A great evening full of fashion and fun was accompanied by music performed by DJ Im Cyber and the rapper James Cole. The Best team took care of the media promotion for the whole event and also of the proposing and organizing of the program to correspond with the spirit of the collection, telling the story of downtown New York City. 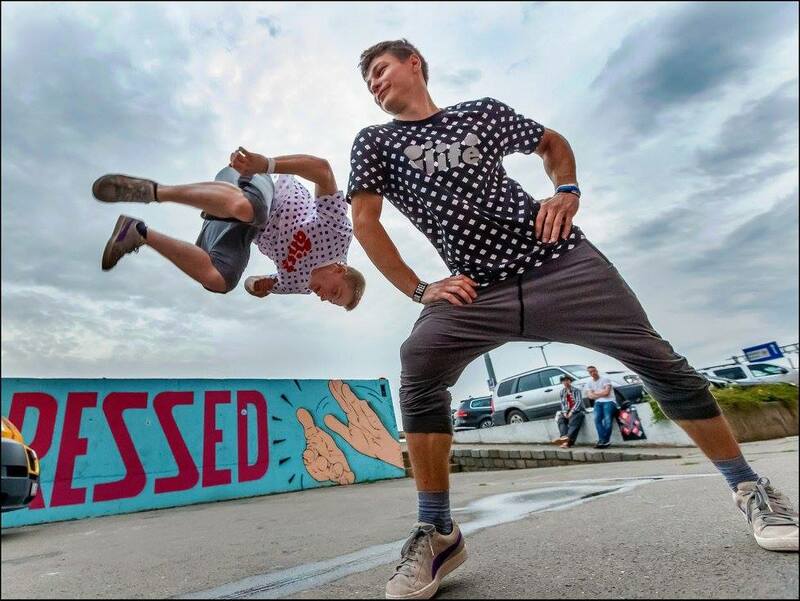 We contacted the parkour group Urban Sense, and started to cooperate with them on behalf of PUMA. The boys from Urban Sense put on a great show full of acrobatic tricks for the attendees and challenged them to try some of the tricks on them one by attending the workshop. The on-looking volunteers also experienced a dose of adrenalin when the acrobats jumped over their heads. The boys were dressed in the PUMA ALIFE collection and the guests therefore had a chance not only to see the clothes showcased in the store, but also in action. In addition to approximately one hundred street fashion fans, lifestyle media representatives and well-known bloggers were present. There were more than 100 articles and posts on social media published about the PUMA ALIFE collection and its launch. Nielsen Admosphere conducted a survey of social networks in May of 2015, according to which the most well known social network in the Czech Republic remains Facebook, followed by YouTube and the Czech portal, Spoluzaci.cz. The results of the survey, which was administered among a representative sample of one thousand respondents from the Czech national panel representing the Internet population of ages 15 and older, show that social networks and Internet services for the sharing of documents are most popular with younger and middle-aged groups. Men represent a disproportionate percentage of total profiles created. Men dominate among users of Dropbox (there are about 42% more men present than women), Twitter (38% difference) and CSFD.cz (32% difference). Women slightly win out on the website Rajce.net, where women have about 6% more profiles than men. About 4% more women are registered on Facebook. Despite the fact that the younger generation is, according to the survey, the most active, they are not interested in all types of networks. Besides LinkedIn, which is known as a network of professionals and is used mainly by people from 25 to 44 years old, the youngest also tend to ignore the aforementioned Rajce.net and Spoluzaci.cz. The latter is wildly popular, and was one of the first Czech social networks. The website remains popular among the ageing population, namely with people from 35 to 44 years old. The highest share of the youngest respondents aged 15 to 24 have Instagram. On the other hand, Facebook is so common that the age distribution of users is relatively uniform. The number of registered users of Google+ grew in the last three years by about 19%. LinkedIn also recorded a growth in the number of profiles – the number of users has grown threefold since 2012. In addition, Twitter doubled its number of users. Contrary to this trend, the formerly very popular chat website XChat is currently absolutely unknown to 61% of respondents. In a big leap forward legitimating the permanence and lasting influence of digital media, Gawker Media, one of the most visible and successful blog-oriented and solely online-based media, has announced plans to unionize following a popular vote within the company. Gawker will now begin working with the Writers Guild of America to negotiate the contracts of its staff. Nick Denton, founder of Gawker, expressed no anxiety at the unionization of his workforce, stating that he was “intensely relaxed” regarding the matter, suggesting that management has begun to see the benefits of ensuring a positive work environment for its employees. Though Gawker has become the first in digital media to do so, the move demonstrates a larger shift in the importance of online media. The unionization has been made possible by the increasing influence and stability of the industry, which proves, as Nolan explicates, that “it’s now possible to find a career in this industry, rather than just a fleeting job.” Digital media companies such as Buzzfeed and Vice are likely candidates to follow in Gawker’s footsteps. A wider organization of the workforce in the industry would pave the way for a more secure future for those who work in digital media, and thus, would allow for a continued increase in the quality of the content produced in the sector, and a strengthening of the importance of the field for the media as a whole. New Title to Enrich Czech Media Scene: “Newsweek” is coming! The American news magazine Newsweek, published since 1933, is experiencing a resurgence. Last year, it returned to its printed form after several months of being published only online, with the goal of spreading the magazine throughout the world under foreign licenses. The Czech edition will hit stores in early November this year, and will become the ninth international iteration of the magazine (already having been published in e.g. the United Kingdom, Poland, Serbia, Montenegro, Latin America, Japan, South Korea, and the Middle East). The publisher of the Czech version is MediaRey (a subsidiary of Business Consulting & Media), which also publishes the business magazine Forbes on the Czech and Slovak markets. The newsroom of the title, which will be introduced as a fortnightly in the Czech Republic, is currently in the process of being formed. The editor-in-chief, Jiří Nádoba, who has experience from Forbes, has already managed to get a number of journalists for the editorial team e.g., the current commentator for Hospodarske noviny Daniel Anýž, Tomáš Lysoněk from MF dnes, and Kateřina Šafaříková from Lidove noviny. 30% of the Czech edition of Newsweek will consist of translations of the original American content, and the remaining 70% will come from the pen of the Czech editorial staff. According to information from Buzzmag.cz, the magazine wants to build on respectability and the journalistic tradition and worldview. Content will be devoted to reports on foreign affairs and local matters reported from the perspective of foreign observers. Stories of inspiring people, and coverage of societal topics and issues will also be included. Czech Newsweek aims to engage not only, but especially young readers, to whom the magazine wants to offer an alternative view of the world. All major television stations rely on serials – it is a well-established and widely known fact. Some are successful and popular, and others are constantly changing week to week, with the hopes of catching a passing glance by viewers until they finally wind up in the dustbin of history, after only having been aired for a single season. Others, even after several consistent seasons of summer programming, are relegated to a similar fate. According to the announcement from recent weeks, it seems that perhaps all of the latest series produced by Česká televize, Nova, and Prima will also move into their second seasons. After Nova’s TV serial Police Modrava, in which Soňa Norisová solves crimes in the forests of Šumava, had just ended, the station announced plans to shoot a second season. The news comes as no surprise, as the average viewership per episode exceeded two million viewers aged 15 and over. TV Prima is also gambling on the natural beauty of the regions. The series, Vinaři, will shift its location from the picturesque Moravia to Bohemia in the second season, where shooting has already begun. However, the familiar figures from the show will, according to the station, remain the same: they are just embarking on a wine expedition of sorts. Viewers thirsting for the juicy TV show and a glass will have their appetites satiated this autumn. Česká televize will however probably host the second most successful seires: the station is shooting and preparing several shows. In autumn, when television stations tend to play their wild cards, the publicly owned media will most likely release the second season of the popular Případy 1. oddělení. More stories based on true cases of the Prague murdering party has received much demand from viewers. The popularity of crime shows has been confirmed by other projects from Česká televize such as Život a doba soudce A.K., which was launched last fall. The numbers speak for themselves, and thus, the station is putting together a second season. However, it is impossible to say when the next time we see David Švehlík in a gown on screen will be. And, as all good things come in threes, the character of detective Kuneš from the TV series, Cirkus Bukowsky, is returning. But this time he will get his own show called Rapl. MAFRA is expanding – Playtvak.cz is ready to sail! Youtube.com, Stream.cz, DVTV.cz—video sharing sites and online TV services of all kinds have become very popular in recent years and their popularity among people continues to grow, as well as their advertising potential. The MAFRA publishing house is aware of this and has decided to introduce their own project this June, an online TV service called Playtvak.cz. It was officially launched on June 21st during a special open air concert at Náplavka. Among the “fathers“ of this project is the former director of PR and Communications for TV Nova, Josef Koukolíček. The main target group is young people. MAFRA is trying to attract them via cooperation with more or less famous young stars such as rappers Lipo and Johnny Machette, actor Zdeněk Piškula, snowboarder Eva Samková, and actress Nikol Štíbrová. Other than video blogs of cooperating stars, Playtvak.cz will offer short sitcoms, humorous programs (one of them will be produced by the popular duo Genzer and Suchánek) and of course lifestyle shows as well – fashion, cosmetics, cars, cooking, and so on. At least four new original videos should be uploaded to the portal every day. In the future, it should be also available as a mobile/tablet app. Only time will tell whether MAFRA’s new project will be successful and profitable, but it is already clear that the publishing house has put a lot of faith into it. In May, Socialbakers brought to Prague several key players in social network marketing to share their strategies, opinions, and together take a look at the future of the industry. The conference was initiated by none other than Jan Řežáb, CEO of Socialbakers, who immediately highlighted the importance of working with data from social networks and the need to adopt the art of using them to our advantage. He later stated that content and its authenticity, originality, relevance, and exclusivity all contribute to a post’s performance on social networks. The head of Socialbakers also claimed that companies should accept the fact that social networks are a paid platform. The reach of free posts is steadily decreasing and, according Řežáb, paid Facebook posts are an indispensible marketing tool at this point. However, this claim was later contested by Roberto Ciacci, global head of digital marketing at Lamborghini, who does not pay for advertising on Facebook. The long-lived debate over the relationship between traditional and social media also took on new dimensions. Socialbakers informed conference attendees that traditional media is more successful than social networks to companies and their brands, even though it was the opposite just a few years ago. Facebook is very well aware of this development and, in order to place side content relevant for individual users, it launched a publishing platform called Instant Articles, though how this platform will shuffle the content has not been revealed yet. It is also public knowledge that Facebook is successfully gunning for the leading position in terms of video content. From several other presentations, it is clear that content strategy and investment in its creation remain the key to success on social networks. From Disney to Adidas to Lego, authenticity, sincerity and a large team dealing with the content and creative strategies is behind the success of their social media platforms. When Adidas founded for the Brazil World Cup a twitter account, “@Brazuca” in order to promote sales of the official soccer ball of the championship, it produced hundreds of videos, posts, comments, and photos even before the tournament itself. During the championship, the entire Adidas team, including lawyers, copywriters, graphic designers, and strategists intently watched how the campaign played out, so that they were able to tweet the proper words at the proper time from the mouth of the soccer ball. Who wouldn’t enjoy live tweeting and re-tweeting matches in the evening for work?! This method is the way to success in the field of real-time marketing, and to create content that resonates with fans and increases brand value. This strategy was indirectly confirmed by the main star of the conference, John Sculley, former president of Pepsi and former CEO of Apple, who points out that social media transfers power to the customer. Customers have been given the opportunity to spread their individual experiences with products across the entire world. He assured Engage attendees that you’ve already won the moment you start to sell a real experience, not a product. However, Sculley also mentioned that it is not enough to be smart and have good ideas to build a truly successful company, but you also need to hire the best people in the market and also get them excited about your brand or product. Concerns were raised about the reputation of brands on Facebook, which is a common fear. However, brands must expose themselves to criticism if they truly want to be accessible to their key consumers. Every brand or product has experienced a negative review or complaint from a dissatisfied customer on social media, but if take KLM for example, who demonstrated at the conference that they look at it as an opportunity to build a relationship with their customers, while addressing problems and ultimately increasing brand credibility. At the conference, KLM showed that thanks to social media and customer care, it earned an estimated €25 million. Video content on Facebook is growing faster than Youtube. In addition to the fact that Facebook has created ideal conditions for this development, it seems that photos are no longer enough and people want to watch an entire story, through the eyes of others, a topic that was also touched on at the end of the conference. The last guest of the conference was Bethany Mota, the American “vlogger” with more than 8.86 million subscribers and celebrity of sorts, and she experiences everything that goes with it. Much of her Czech audience was in attendance, consisting of Czech vloggers and fans, who did not hide their enthusiasm for the possibility to meet Beth. Bethany now has her own perfume and fashion collection. Since 2005, numerous similar celebrities have found fame via YouTube, and this trend is expected to continue. And what is behind the success of Beth and other young stars? Perhaps, the fact that they manage to fulfill most good marketing criteria. Videos are very personal and Bethany is not afraid to share her life, including her mistakes. Additionally, Beth looks great and is tremendously inspiring to her audience. However, when asked whether she cooperates with companies, she responded that she does not often, the reason being that firms have not learned how to cooperate with vloggers properly yet. If you want to target younger audience, learn it quickly. #Engage 2015 seamlessly met the criteria for a successful conference. And if anybody thought that most of the information has already been said, I believe that everyone would agree that these truisms can be endlessly repeated in the marketing world because, in reality, not all companies know how to behave in his nebulous, colorful, exciting world of social networks. Expert recommendation is clear: to present in real-time authentic, local, and clear content that inspires interaction and user involvement; target it well, support it financially, and fully exploit its potential. That’s all for now… thanks for reading!